"Is that how he sees it? "A business?" "A business is what it is. We have to sell." "Van Gogh didn't sell, did he?" she points out. So wrote Jonathan Buckley in Nostalgia. The president of Yale University apparently agrees. In announcing that Martha Kuzma is the new dean of Yale's art school, Peter Salovey noted that "the art world is booming, but making a living as an artist remains difficult," so he was "encouraged that Ms. Kuzma 'has been especially focused on the student experience.' 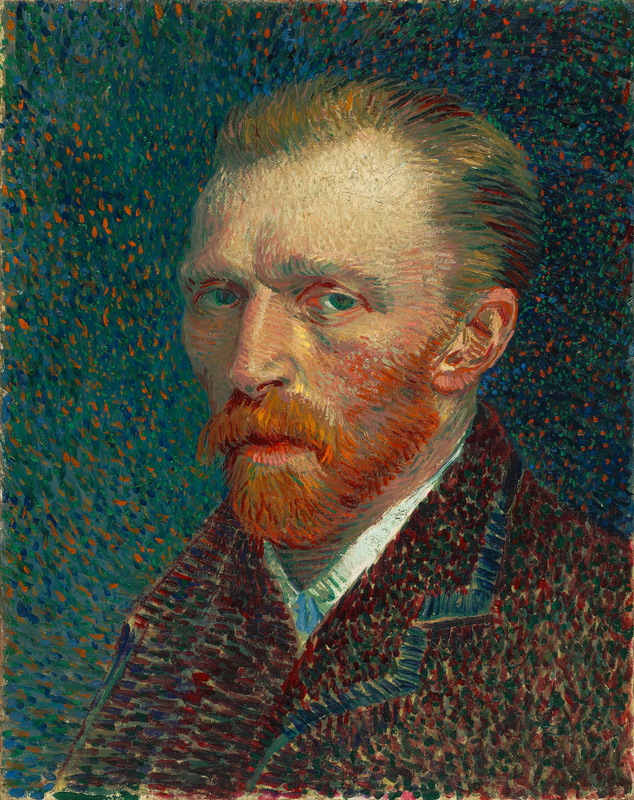 "
Vincent van Gogh, Self Portrait (1887). A former dean at Yale was clearly not concerned with such mundane issues as artists making a living. Indeed, Peter Benson believed money was irrelevant, as he told the New York Times that "We don't consider success in the marketplace has anything to do with being a successful artist." Mr. Benson might take a lesson from the patron saint of starving artists, Vincent van Gogh, who wrote to a fellow artist that "in my opinion the reasoning of that virtuous fellow who asked with reference to your work, 'Does he paint for money?' is the reasoning of a f****** fool - as this intelligent creature evidently reckons among the axioms the maxim that originality prevents one from making money."